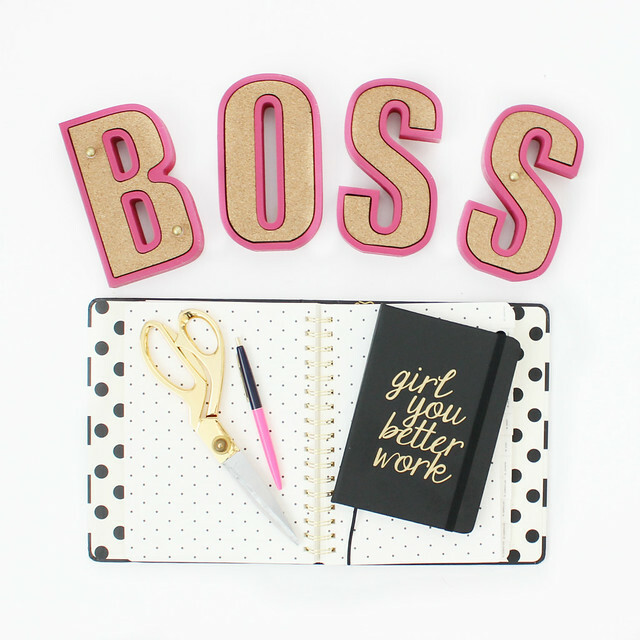 By now, you know that I have a crazy obsession with adorable office supplies and decor. I like my office to be my happy place where creativity runs wild and I always end the day feeling like a total BOSS! Imagine my delight when I found an Etsy shop that makes personalized cork board letters! The Etsy store, MyLetterDeco, has so many adorable colors and letters to choose from. The displays she offers in her store say "LOVE", "WORK", and "HOME", but you can customize the order to have your letters spell out any world that you like! She simply charges by the letter. You can also choose from over 18 colors for the outside of the letters! So...of course....I chose a happy pink color and the word BOSS! 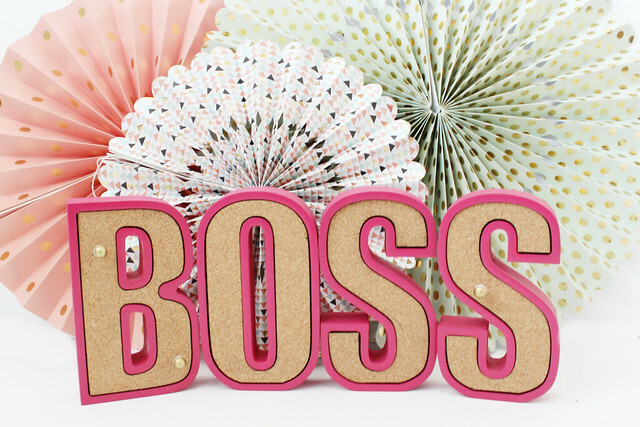 I wanted to be reminded everyday that I am the boss, that it's something to celebrate! I mean, who wouldn't be happy with these adorable letters in their office?!?! Work can be stressful, especially if you're the boss. I mean...everything is riding on you as the leader of the company, blog, store, etc. It's easy to feel stressed out and overwhelmed. That's part of why my office is this wonderfully whimsical, creative environment! I want "coming to work" to feel like "coming to play"! Yes, I do a lot of work during the day. I'm always busy and on the go...but who says that I can't enjoy it!? 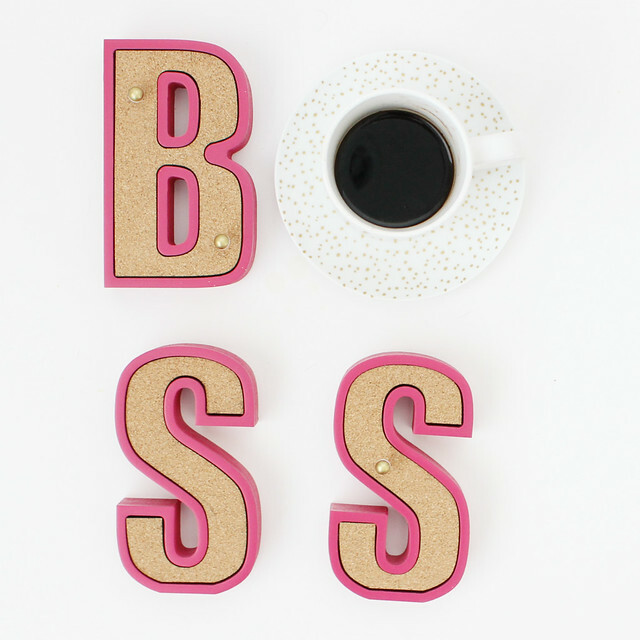 By filling my office with fun and playful items like these boss letters, I'm able to stay efficient, be productive, and have fun at the same time! All while being a BOSS! 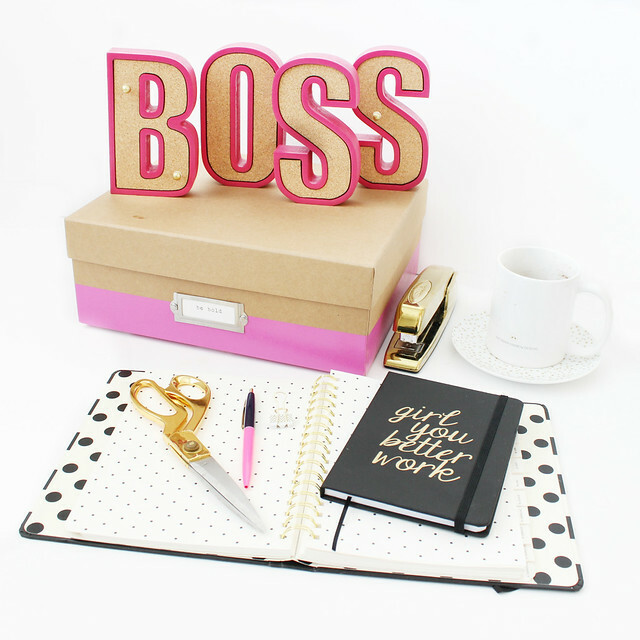 And because we know you want to be a BOSS, too, the wonderful makers over at MyLetterDeco are offering all of my readers a 10% discount! Just head over to their shop, customize your adorable new cork board, and use promo code: TRENDYSPARROW for 10% off your order! For more ideas, check out my Office Decor Pinterest Board.